The R44 series has been discontinued. Please contact our Flow Engineering department for a viable replacement. The R44 Series are UL listed (file number SA1089) industrial pressure regulators for use with compressed air and inert gases such as carbon dioxide, argon helium, krypton, neon nitrogen and xenon. The R83 models are for primary high pressure regulation, while the R44 models are for secondary low pressure regulation. 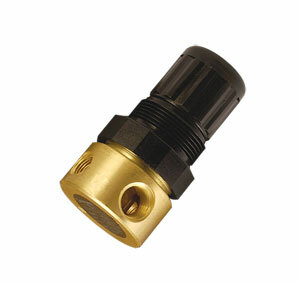 These regulators are intended for industrial use and are not to be used for beverage dispensing applications.